Our experts scrutinize and compare products during detailed field tests and score products based on objective metrics. The resulting rankings determine the best lightweight rain jackets and storm shells available for purchase. Our reviews of rain jackets are divided into two sub-categories. Lightweight rain jackets are 2.5-layer rain shells that are best for backpackers, those concerned with carrying low-weight gear, those on a budget and casual day-to-day wear. Storm shells are heavy duty 3-layer shells for long-term protection in snow and rain. These are more desirable for the mountaineer, alpine climber, backcountry skier, and those heading out for winter or wet backcountry travel. 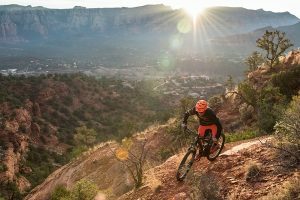 The Mountain Hardwear Quasar Lite II is built for mountain weather, where it can go from winter to spring to summer in an hour. When it’s cold and gross out snuggle deep in the protective armor of solid weatherproofness and helmet friendly hood. Then as the conditions improve crack the vents, unleash the hood or just pack the lightweight jacket away. The versatility means it works well just about anywhere and any season. The lightest shell in this test, the Dynafit Elevation GTX Jacket eliminated waist, hood, and wrist adjustment to cut weight but kept all the protection we’d expect from a three-layer shell. 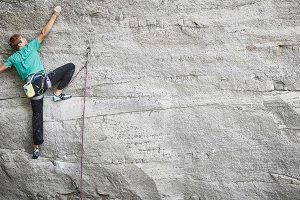 With a soft liner, quiet fabric, and excellent breathability it’s a great choice for high speed, low-weight adventures. The Columbia OutDry EX Gold Reversible is the most versatile jacket in the test and the best value. The Reversible is two jackets in one: a bomber shell on one side and a waterproof soft shell that will blend in urban locales on the other. Techy or not, few jackets perform as well and have your back in so many different situations. Not all weather shells are created equal, and that is a good thing. 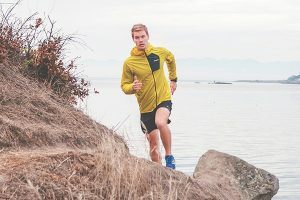 The market of technical clothing has become so advanced and specialized that you can purchase a jacket for just about every type of weather and for every level of exertion. 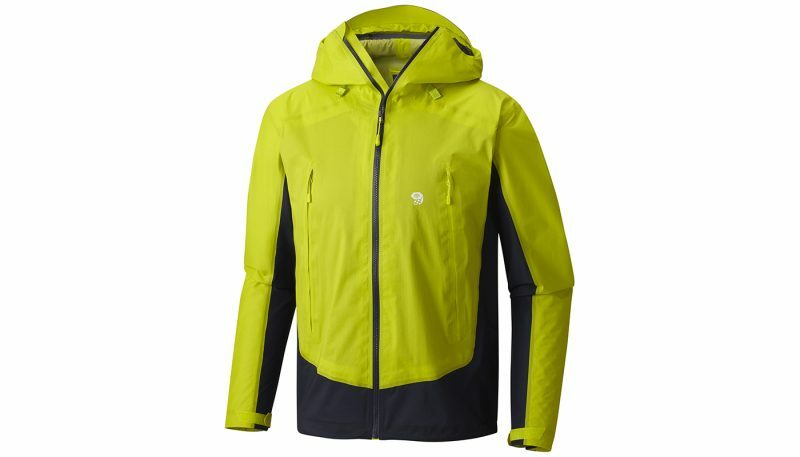 There are thin protection layers for high-output cardio activities, there are extra tough storm jackets for severe precipitation that still allow your body to sweat and breathe while in motion, and there are insulated shells designed to keep you warm and dry when you are mostly sitting still. The downside to this is that it requires a customer to carefully select which types of layers he or she needs, because it is unlikely that someone will want every type of jacket available. We have simplified your purchasing options into a five step process. Read through our category descriptions and determine what your needs are. 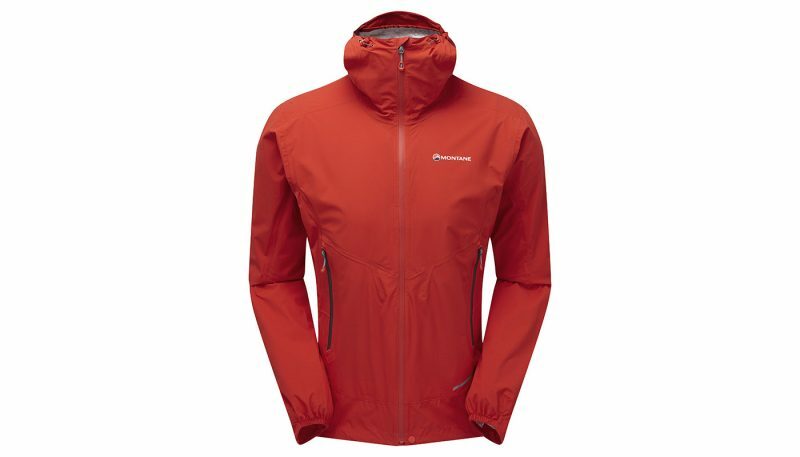 Then reference our comparative reviews to find the best rain jackets available. First things first: what type of weather do you need your jacket to protect you from? 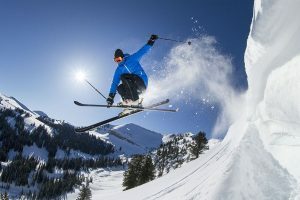 Are you looking for a warm, snow-proof jacket for skiing? If so, you probably need an insulated ski jacket. Are you looking for a layer to protect from wind and rain? Does it need to block all wind and water or just some? Do you need a weatherproof jacket or a weather-resistant jacket, and what is the difference? Let’s start with some definitions. A jacket is usually considered windproof if it can withstand gusts up to 60 mph, though this standard varies by manufacturer. To make a jacket windproof, a laminate is added to the material of a jacket. All waterproof jackets are also windproof, but not all windproof jackets are waterproof. A wind-resistant layer will help block some wind and light precipitation, but won’t block all or even most wind. This type of layer will offer increased protection and comfort, but emphasizes breathability over weather protection. A product that is waterproof is designed to keep you dry in a downpour. Different companies evaluate this differently, but as a general standard, waterproof means that water will not get in. All rain jackets are waterproof. Water resistant apparel will keep you dry in light precipitation for a short time, but in continuous rain will eventually wet out. Water-resistant layers will emphasize breathability over water protection, making them better for sweat-inducing activities but not what you want in an unexpected thunderstorm. 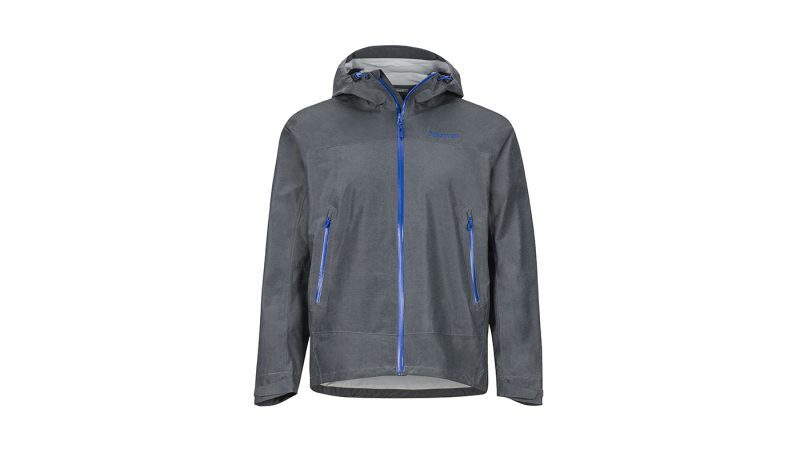 Waterproof/breathable materials will keep you dry in a downpour while at the same time allowing the water vapor from your sweat to escape throught the fabric. This is an actual function of the material and not accomplished through a zippered vent (though often a jacket will have both a waterproof/breathable material and ventilation features.) Most modern rainwear will use some type of waterproof/breathable technology. A waterproof/non-breathable layer would be an old-fashioned rubber slicker or rain poncho that does not allow for any airflow through the material. Now that you know the different terms used to describe the protection a jacket provides, we will describe the different categories of shells that you can choose from, each with their own level of wind and water resistance. Assess which one most meets your needs and then look for products in that category. Wind shells are thin, very lightweight, packable layers that help expand a person’s comfort range. They are not waterproof or even windproof, but block some wind and light precipitation while still being breathable. They also offer sun and bug protection. 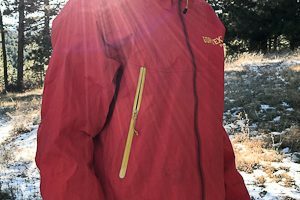 This is not the layer you want to protect you in an unexpected storm, but it can be indispensable for backpackers, climbers, or other backcountry travelers who need a modifiable layering system to keep them comfortable in a range of temperatures and conditions. 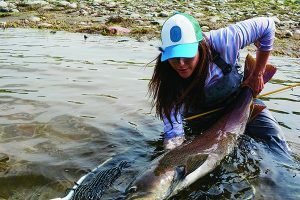 Soft shells are soft, flexible, luxurious jackets that are water-resistant but not waterproof. Some can be windproof but most will be only wind resistant. These layers place a high emphasis on breathability and flexibility and less emphasis on weather protection. 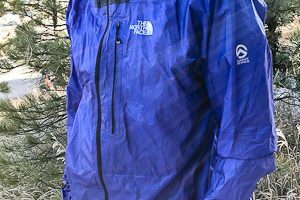 They are ideal for aerobic activities like cross-country skiing, single pitch ice climbing, and winter running where some protection is desired, but they are not the mandatory storm protection layers you want for a multiday trip in the backcountry. Hard shells are waterproof/breathable layers designed to protect from rain, wind and snow. This is the kind of layer you want to have with you in case of emergency on a multiday backpacking or mountaineering trip since it will keep you dry and somewhat warm when you otherwise may not have shelter. All hard shells offer some degree of breathability, though anyone who has worn one will know that the breathability of a hard shell is still much less than if you wore no jacket at all. However, the aim of all hard shells is to keep you dry from the inside as well as the outside, and there are many different technologies on the market today that accomplish this to varying degrees. All rain jackets would be classified as hard shells. Read on to step number 3 to learn about different types of hard shells and why you may want one type versus another. Increasingly popular are hybrid shells, which are jackets that combine hard shell and soft shell technology into one piece in order to capitalize on the weather protection of a hard shell and the breathability and comfort of a soft shell at the same time. This manifests in all sorts of creative configurations, such as pieces featuring hard shell material on the hood and shoulders and soft shell material on the sleeves, belly, and lower half of the jacket, or as a predominantly hard shell jacket with soft shell material under the arms. In the case of the Columbia OutDry Ex Gold Reversible Jacket, it is a hard shell on one side and a soft shell on the other, so it can be reversed to have either side facing out. 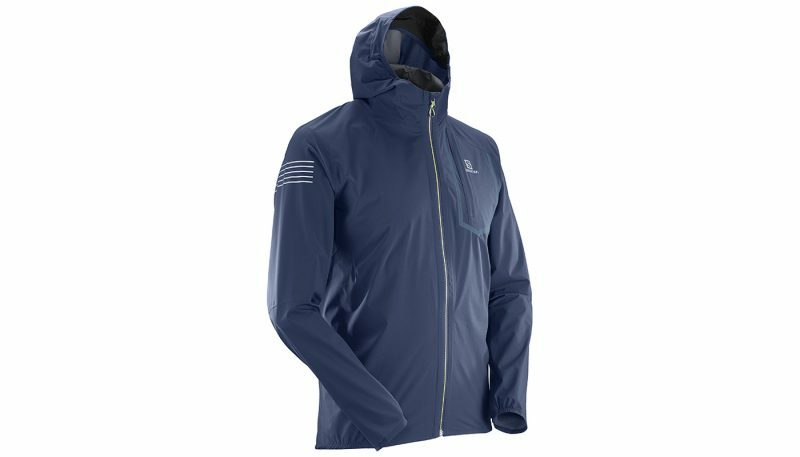 These hybrid shells can be very comfortable to wear, but keep in mind that a jacket that combines both materials will not be completely waterproof nor as breathable as a regular soft shell. 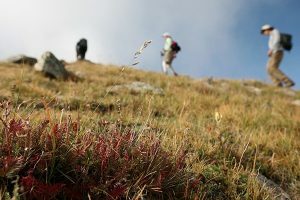 Since these jackets do cost a lot, and you will probably still require a fully waterproof jacket in addition to this jacket, carefully evaluate whether you will get enough use out of a hybrid shell to justify the expense. If you have decided that you need a waterproof hard shell, next you have to determine what type of hard shell you want. The two most common types of rain jackets are 2.5-layer lightweight shells and 3-layer storm shells. These two types differ in weight, breathability, durability and price. 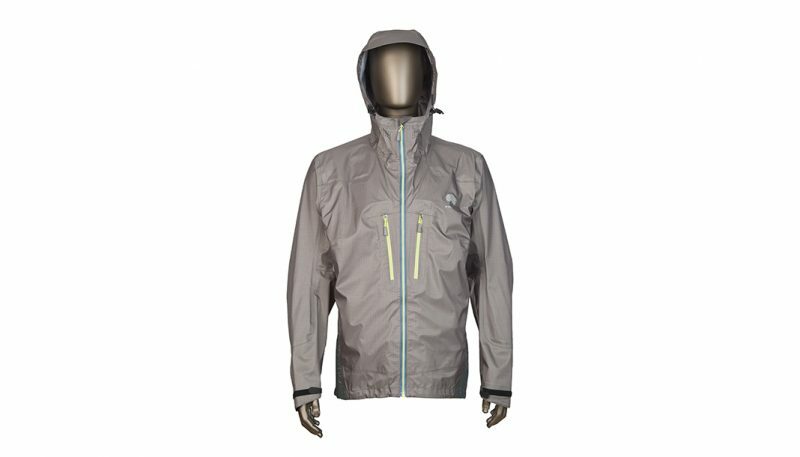 A 3-layer storm shell is made with a tight sandwich of materials: a burly waterproof face fabric, a waterproof/breathable membrane and an interior liner. All three of these layers are combined so closely that you won’t be able to detect more than one layer in the fabric. This 3-layer construction is thought to be the most breathable and the most durable of the waterproof/breathable options, which also means it is the most expensive type of hard shell. If you travel in the backcountry a lot, often spend multiple nights out, or live in a very wet climate and don’t let that hold you back; you probably want a burly 3-layer storm shell. This will offer you the most protection and most breathability you can get from a jacket. Check out our detailed review of the Best Hard Shells of 2017 to learn which models are our favorites. If 3-layer jackets are a sandwich of materials, then the 2.5 layer jacket is an open-faced sandwich. It has the same protective exterior fabric (the waterproof layer), then a polyurethane laminate or coating applied to the interior of that fabric (which encourages breathability), topped with a protective print (the half layer) instead of an interior liner. This cuts both cost and weight, allowing these jackets to be thinner, lighter, and stretchier than most 3-layer jackets, as well as less expensive. The downside is that this construction is typically less breathable and less durable than that of 3-layer jackets. That being said, we think the lightweight rain shell is probably the best choice for most consumers, being more versatile, comfortable and affordable. Read our review of the Best Lightweight Rain Jackets of 2017 to see which ones we recommend. After you choose which type of rain jacket you need, take a look at the features found on the jackets. Often these features will enhance the comfort and livability of the jacket, but as always, more features mean more weight. 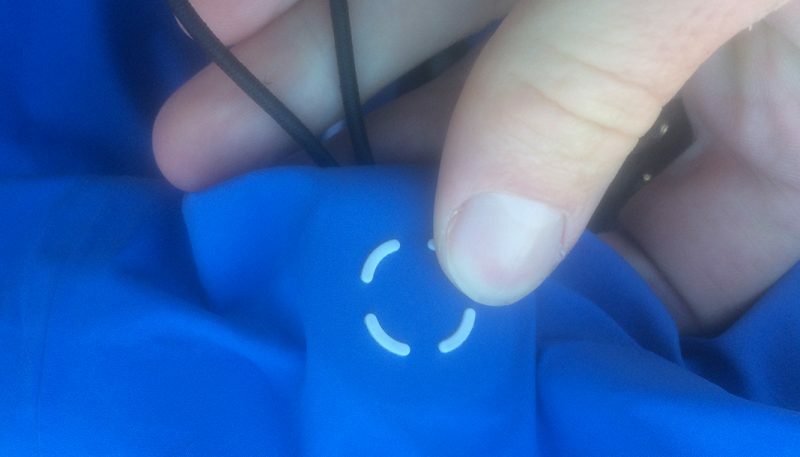 Some features, such as whether the jacket can stuff into its own pocket, could be a make-or-break feature for some consumers. Hoods come in different sizes and with different adjustment options, such as an opening around the face and the circumference of the overall hood. Hoods with two adjustment points will achieve the perfect fit better than a hood with only a single adjustment point. If you want your shell for more technical uses, make sure that your hood is large enough to accommodate a helmet and can be cinched smaller when you are not wearing a helmet. If you are purchasing a casual rain jacket, look for one with a smaller hood that will be more comfortable on your bare head. Also check out the brim on your hood. Sometimes this will be wide enough to keep the rain off of your face, and other times the brim will be small and unobtrusive. Like the cinches on the hood, shell jackets can usually be cinched at the hem and the sleeves to seal out wind, rain and snow. Hard shells typically have underarm vents that can be opened if things are getting really sweaty. Designs meant to be ultralight will skip this feature to save weight. Consider which is more important: extra ventilation or weight savings. Also take note of the interior of the pockets. Often they will be lined with mesh so the pockets can double as vents, and be left open if you are getting too hot. Pocket placement is also a consideration: the higher up they are on your body, the more easily you can access your pockets while wearing a backpack. 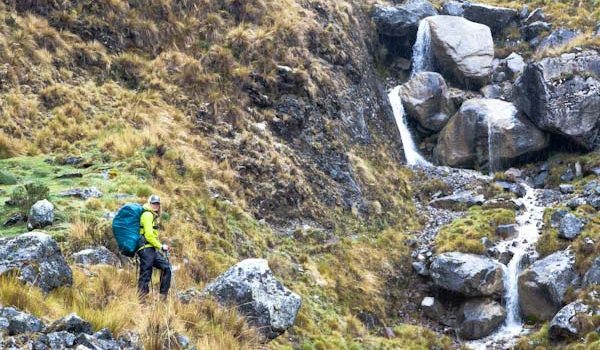 Our award winner in the Storm Shell review, the Dynafit Elevation GTX Jacket, has large hand pockets that sit high up on the sides, meaning we can fit a lot into the pocket and access them whenever we want, even when wearing a pack. The lower down the pockets are, the more comfortable for casual around town wear. Some lightweight rain shells can stash into one of the pockets, making the jacket very easy to pack and go, even on an ultralight backpacking mission. The Sherpa Assar Jacket, our favorite lightweight rain jacket, weighs only 8.6 ounces and stuffs into an internal pocket. Burlier hard shells will be heavier and bulkier and won’t have this ability. Hard shells usually have laminated or coated zippers that don’t let water in. These are always more fussy when opening or closing than regular zippers, but help to keep you dry. 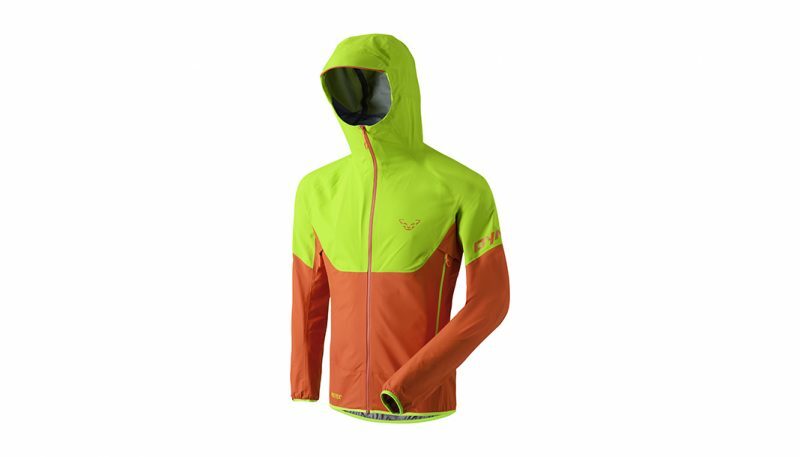 Sometimes lower end rain jackets will have regular easy-to-use zippers and a storm flap. This will save you some money and some frustration when it comes to zipping, but may not be as waterproof. As always, we suggest you factor in price after you have identified what your overall needs and preferences are. Don’t blindly choose the least expensive or the most expensive items on the shelf. There are several factors that influence the price of a rain jacket, the first being the material type. 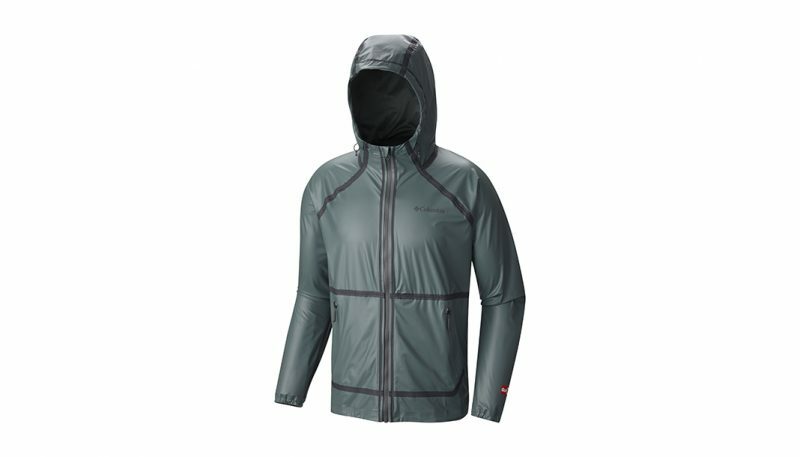 If you have decided that you need a 3-layer hard shell, you are automatically looking at a more expensive jacket because of the technology found in those models. On average, we have found that 2.5 layer lightweight shells range between $100-$200, while 3-layer storm shells are more commonly priced $300-$400. The features found on a jacket also affect price. Zippers, vents and pockets can all drive up the price of a piece. Reference our reviews of both lightweight rain shells and burly storm shells to compare price and performance and find the perfect jacket for your needs.